Deciding to enter a California cocaine detox program is a difficult one. When you do choose, you need quick entry to a program that fits your needs best while you have the most motivation to succeed. In California you have the options you need for quality, accredited treatment. Your cocaine detox program includes withdrawal symptoms for one to three weeks. During this time cocaine remains in your body for 72 hours after your last use. Of course, drug testing still reveals traces of the drug for up to 12 weeks. How long it takes for cocaine to clear from your body depends on the frequency of your use, how long you used cocaine and the size of your dose. People with extreme cocaine dependence for years usually go through more intense withdrawal symptoms than those only using it occasionally or on binges. Long-term drug users experience cocaine withdrawal for weeks or months. But the good news is that the worst of your symptoms end in a matter of days. Most people starting a California cocaine detox program feel depressive in the first 24 to 72 hours after quitting. You struggle to sleep, then to wake up. You feel ill, hungry and irritable. Some people experience confusion and disorientation. Days four to seven often bring drug cravings with the worst cravings happening at days three to four. You need long periods of sleep, to stay hydrated with water and eat nutritious meals. In cocaine abuse, your body suffered without enough of these elements for too long. Symptoms of withdrawal to expect during your week-long Southern California cocaine detox program include anxiety, apathy, depression, irritability, paranoia and general dissatisfaction with life. Then as quickly as most of your symptoms started, you start feeling better at about one week after quitting. Unfortunately, sleep problems, depression, cravings and mood changes occur in cycles. You have symptoms like agitation, nightmares and increased appetite for a period after the first week in detox. At about day seven of your Southern California cocaine detox program, most people transition into a rehab program where the real drug treatment and sobriety begin. The hardest part of any cocaine detox program is breaking your cycle of binging and crashing. Your body and brain set you up for a struggle, mainly since you gave into these cravings during your active drug abuse. These symptoms decrease after day three or four in detox, so it gets easier at that time. Sobriety works for people overcoming cocaine addiction when they go through rehab and the therapies they need. 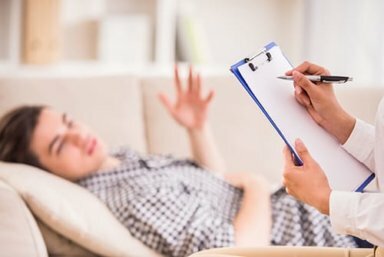 After your Southern California cocaine detox program, you need help from an accredited rehab program. At Morningside Recovery in Orange County, you gain a complete continuum of care, including drug detox programs and addiction treatment services. You start your journey in the California drug detox program at Morningside Recovery and gain an individual treatment plan for the therapies and services you need for strong sobriety. Treatment for adults age 18-plus at Morningside Recovery enables you to get into treatment the same day you call. This is critical, especially when cocaine withdrawal causes so mood shifts and other problems. Enter detox in Orange County, and within a week you start feeling much better, ready to begin true sobriety. After cocaine addiction, you deserve long-term sobriety. This strength builds through your California cocaine detox program and rehab at Morningside Recovery in Orange County. Call Morningside Recovery now at 855-416-8202.